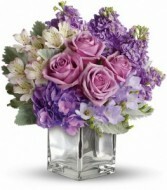 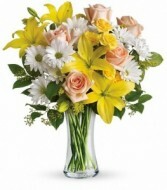 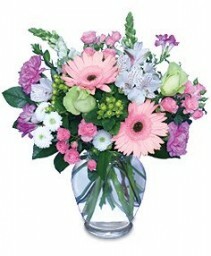 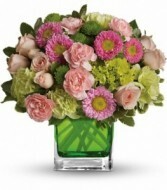 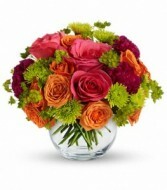 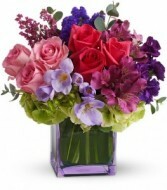 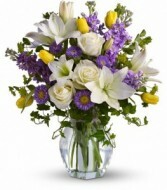 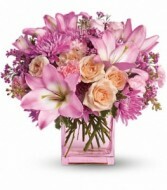 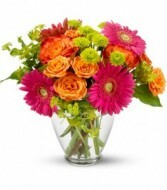 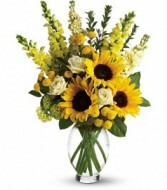 Turn any occasion into a day at the beach with this truly original arrangement! 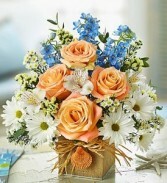 Featuring fresh roses, daisies and delphinium, it arrives beautifully hand-arranged in a rustic burlap cube, accented with raffia and a decorative seashell. 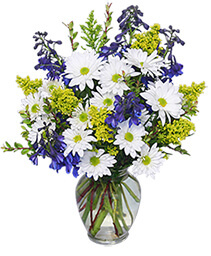 Arrangement of blue delphinium, coral roses, white alstroemeria, white monte casino, white daisy poms, eucalyptus, yellow statice and salal tips Arrives in a burlap cube accented with raffia burlap in a clean cube. 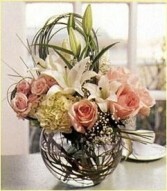 By Enchanted Florist of Cape Coral.